Is there a better alternative to jalada Comrade Stalin? Is jalada Comrade Stalin really the best app in Simulation category? Will jalada Comrade Stalin work good on macOS 10.13.4? 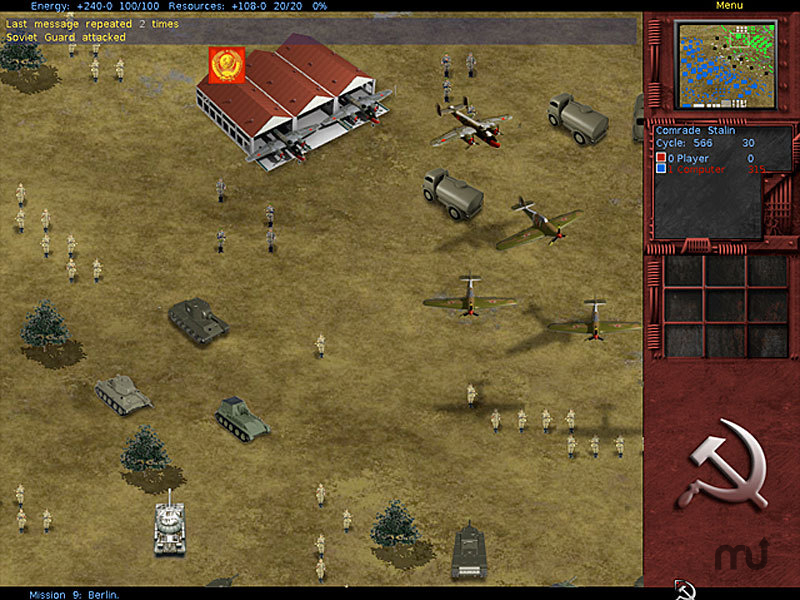 While playing you, in the role of Comrade Stalin, have to turn the Soviet Union into a mayor power and defend it against its enemies. Upon starting your mission you land from your transport and organize your base. Here you conduct research, design and manufacture vehicles, build new structures and prepare your plans of global conquest. If the game goes badly you'll end up fighting last ditch battles here to defend your base from enemy attacks. This special edition features new sound effects, improved control elements as well as general application fixes. jalada Comrade Stalin needs a rating. Be the first to rate this app and get the discussion started!